DAVIS, W.Va. – Tucker County in West Virginia’s Allegheny Highlands rivals any bird-watching area found in the United States, bar none. Offering a unique mix of boreal forest, wetland habitats, and high altitude (4250’), the land mass and geography is the perfect location each summer for breeding birds. 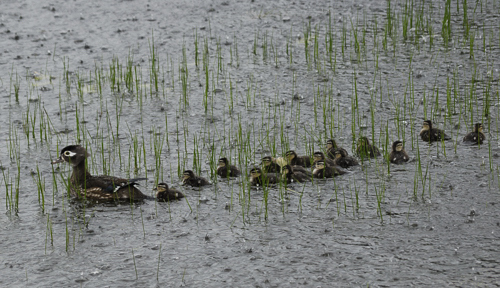 Canaan Valley Resort State Park’s annual Birding Festival is May 31 through June 2. This year’s theme is Migrating Birds and Their Habitat Needs. “There is an amazing diversity of bird species,” said licensed bird bander Joey Herron, who is one of the multiple leaders at the festival. Bird walks, guest speakers and other activities are planned for experts to beginners in birding. A weekend lodging package is available that includes all birding activities. Two nights at Canaan Valley Lodge is $184 per person based on two people sharing a room; three nights is $250. The cost includes nightly lodging, daily breakfast and lunch buffets, two evening receptions, multiple guest speakers, registration fee and lodge amenities. For reservations or other options, call 800-622-4121 for details. Day-only guests are welcome to join the festival with participation costs of $45-$99 per person. The Canaan Valley Birding weekend is supported by the Tucker County CVB; The Nature Conservancy; WVDNR Wildlife Resources; U.S. Fish and Wildlife Service; Friends of the 500th; Blackwater Falls and Canaan Valley Resort state parks; and the West Virginia Master Naturalist program. 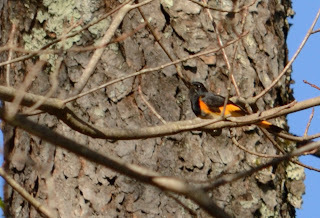 Complete event details are online at www.canaanresort.com/canaan-valley-birding-festival. Details include difficulty of hike or field trip and driving times to special locations. Stuart Memorial is a full day walk that begins at 5:30 a.m. and includes a boxed lunch. Field trip leaders are Emily Grafton and Joey Herron. This carpool activity may observe Brown Creeper, Winter Wren, Golden-crowned Kinglet, Hermit Thrush and Rose-breasted Grosbeak. Typically there are 15-18 species of warblers with the possibility of Ruffed Grouse, Swainson's Thrush and Golden-winged Warbler. Pendleton Lake, located at Blackwater Falls State Park in Davis, is a high-elevation (3,000 feet) 10-acre impoundment with associated riparian, spruce and northern hardwood forest, shrub, and old field habitats. Breeding species may include Hermit Thrush, Red-breasted Nuthatch, Yellow-rumped Warbler, Magnolia Warbler, Blue-headed Vireo, Dark-eyed Junco, Swamp Sparrow. Other possibilities include Prairie Warbler, Blackthroated Blue Warbler, Nashville Warbler, and Alder Flycatcher. Leaders for this activity are Sue Olcott and Paulita Cousin. The trip departs at 5:45 a.m.
Blackwater River Trail includes habitat of forest, marshes, and grasslands along the Blackwater River and Golf Course Road in Canaan Valley Resort State Park – about two miles of easy walking. A good variety of species inhabit these varied habitats – among them Warblers, Flycatchers, Meadowlarks, Woodpeckers, Herons, Raptors and forest birds. Terry Bronson is the featured birding guide, with activity beginning at 7 a.m.
Canaan Birds for Beginners at 8 a.m. is a short audio-visual prior to this walk. Afterwards, carpooling to nearby trails on Canaan Valley National Wildlife Refuge will include Balsam wetlands and grasslands. 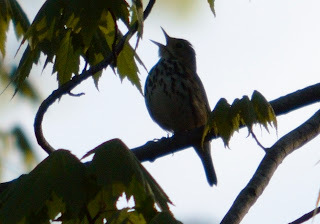 Species to encounter are Bobolinks, Savannah Sparrows, Kingbirds and the haunting song of the Hermit Thrush. This activity is also scheduled on Saturday and Sunday mornings. Birds and Butterflies will be the primary focus of the walk with leaders Fran and Bill Pope and Sue Olcott on Friday and Saturday beginning at 1 p.m. Butterfly species include Pink-edged Sulphur and Harris’ Checkerspot. Birding by Ear allows birders to identify species in dense foliage, distance, shyness, and darkness or poor light. How to identify birds by listening to their songs, calls, and other noises is part of Terry Bronson’s program that begins at 1 p.m. Floor to Ceiling – Forest Road 80 takes participants from the floor of Canaan Valley to the lofty ceiling overlooking it all, providing almost 1,000 feet of elevation change in the process. Likely species include Bobolink, several sparrow possibilities, Northern Harrier and American Kestrel in the lowlands; forest interior breeders such as Rose-breasted Grosbeak, Ovenbird and Hooded Warbler along the way up; and mountaintop species such as Blackburnian Warbler and Goldencrowned Kinglet at the top; specialties such as Northern Waterthrush, Winter Wren, and hopefully even a Swainson’s Thrush is possible. Birding leader is Michael Welch, with activity beginning at 1 p.m.
Beall Tract – Canaan Valley National Wildlife Refuge with leaders LeJay Graffious and Dr. Derek Courtney is a 1 p.m. event. The Beall trails pass through forest, field, shrub, swamp and bog habitats, with spur trails leading to the Blackwater River. Kingfishers and flycatchers are often seen along the trails near the river. And the grassland area routes have produced over half a dozen sparrow species. A Tour of Bear Rocks and Dolly Sods will be led by Mike Powell with the Nature Conservancy. The Saturday keynote speaker is Katie Fallon, “Saving the Cerulean Warbler.” Sounds of the Night – Evening Walk follows the evening keynote speaker. Dolly Sods full-day trip with leaders Emily Grafton and Herb Myers. Seneca Rocks – South Branch of the Potomac includes a steep 1.3 mile trail to reach the observation platform and a morning chorus of Pine Warblers. Other species include Worm-eating Warblers, both Cuckoo species and a host of other songbirds. As time allows, the trip will include a venture into the canyon of the Smokehole River, which usually turns up a few breeding Common Mergansers and an assortment of warblers, flycatchers and vireos. The trip concludes in grass- and farmlands north of Petersburg where such state rarities as Dickcissel and Loggerhead Shrike are known to breed, according to leaders LeJay Graffious and Dr. Derek Courtney. The Parsons / Fernow Fieldtrip in the past has observed cuckoos; four swallow species, including Cliff, Orchard Oriole, Parula; and Yellow-throated Warblers. 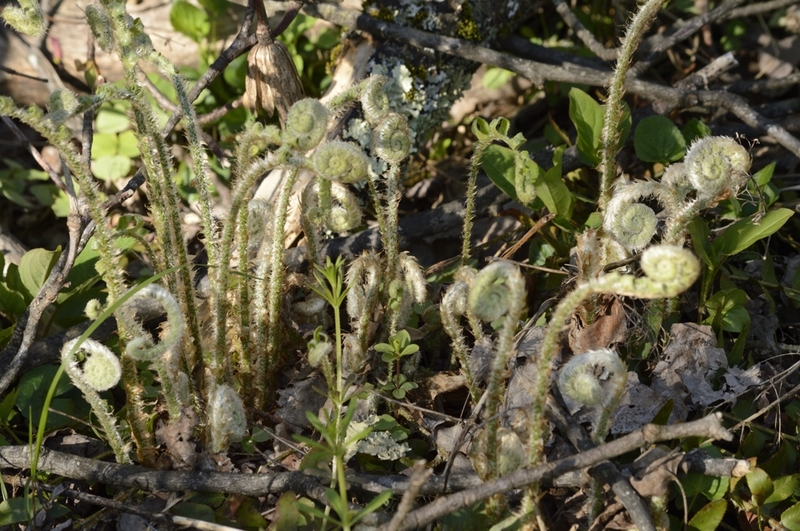 Other species spotted include nesting Bluebirds; and a variety of warblers. Field trip leader is Joey Herron. 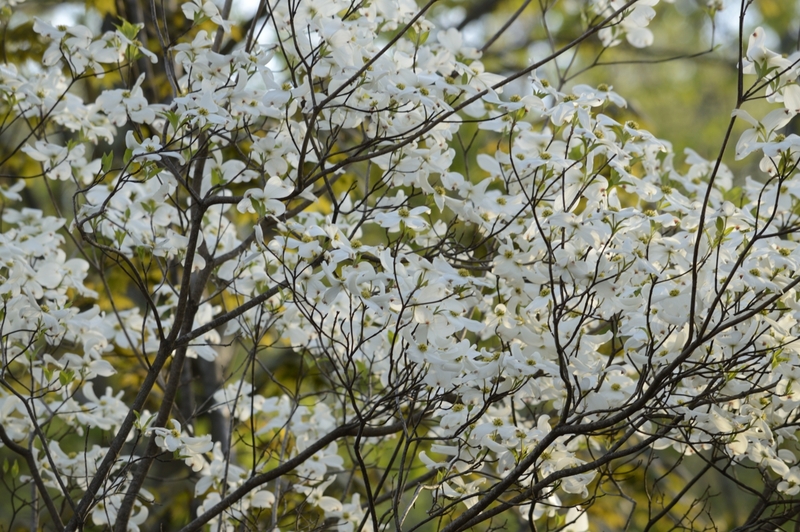 Birds & Wildflowers Walk with Jackie Burns is an afternoon option. 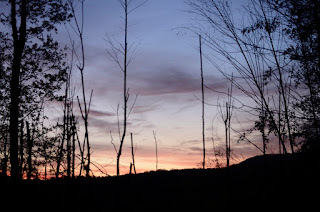 Northern Tract Canaan Valley National Wildlife Refuge is the most remote area field trip planned and departs at 5:30 a.m. Habitat includes wetlands, early-successional meadows and hardwood forest. This area has recently hosted Golden-winged Warbler, Clay-colored Sparrow and American Bittern. The drive to this beautiful destination makes the longer field trip worthwhile. Mountaintop Birds requires a chairlift ride and begins at 6 a.m. A mixture of forest systems and the altitude change along the route will give tour-goers the chance to see and hear a variety of species usually found in more northern climates. Camp 70, Canaan Valley National Wildlife Refuge trip will visit early-succession meadows and hardwood forest and pass by a wetland area in a part of the refuge east of Davis. Among the species possible here are Yellow-bellied Sapsucker, Least Flycatcher, Blue-headed Vireo, Hermit Thrush, Yellow, Chestnut-sided, and Black-throated Green Warblers, Field and Swamp Sparrows, and perhaps a late Solitary Sandpiper. All activities and field trips leave from Canaan Valley Resort State Park to depart for activity destinations. Fallon is the author of the non-fiction book Cerulean Blues: A Personal Search for a Vanishing Songbird (Ruka Press, 2011). Terry Bronson an active birder in West Virginia and New Hampshire. He is the president of Mountaineer Audubon in Morgantown. Jackie Burns has a bachelor’s degree in wildlife biology from West Virginia University and has recently retired after 30 years with the U.S. Fish and Wildlife Service. Derek Courtney, M.D., was born in Fairmont and resides in Morgantown. He has particular interest in avian photography. During the 2010 calendar year, Derek observed 259 bird species within the state's borders. Paulita Cousin is a park naturalist at Blackwater Falls State Park and a graduate from Garrett College with an associate’s degree in wildlife management. Ken Dzaack has a degree in wildlife management from Garrett College and is a certified West Virginia master naturalist. LeJay Graffious had a 36-year career Preston and Monongalia counties school system. He is past president and trustee of the Brooks Bird Club. Emily Grafton is a West Virginia native with over 35 years of natural history experience. With degrees in botany and special education with an emphasis on teaching science, she has written numerous articles on plants and wildlife including comprehensive field guides for two state parks, and is an avid birder. Joey Herron has more than 40 years of birding experience and holds a biology degree from Glenville State College. Herron conducts Saw-whet Owl banding each fall at Valley Falls State Park near Fairmont, banding over 240 migrants. His book, “Birds of Prickett’s Fort State Park,” showcases more than 140 species of birds with photographs. Herron also conducts banding demonstrations in May and October at Tygart Lake State Park. Diane Holsinger is a licensed veterinary technician from Timberville, Va. Holsinger has assisted with Breeding Bird Surveys, Breeding Bird Atlas in West Virginia and Warbler Project at the Smithsonian in Front Royal, Virginia. Beginner Birding, Wildflowers & Mushrooms are classes she teaches for the Life Long Learning Institute at James Madison University in Virginia. Her birdwatching has led her to the western United States, Iceland, Ireland, India, Africa, Cuba and Scotland. Herb Myers, M.D., took up birding as a hobby for retirement and has birded in Pennsylvania, Virginia, Alberta, Newfoundland, Arizona, Texas, Ohio, Michigan, Oregon, Florida, California, Ecuador and the Galápagos but especially likes West Virginia. Susan Olcott is a wildlife diversity biologist for the West Virginia Division of Natural Resources. Olcott is project leader for the West Virginia Butterfly Atlas and also headed up the West Virginia Dragonfly and Damselfly Atlas. She holds a B.S. from the University of Maine in wildlife biology and an M.S. from Frostburg State University in the same. Bill Pope is a master naturalist and serves as a monitor for the Cranesville Swamp Preserve. In pursuit of birding adventures, he has traveled the western U.S., South & Central America, and Antarctica. Pope is a physician in public health in Garrett County, Md. Fran Pope grew up in the tropics, attracting colorful arrays of birds and butterflies with ripe bananas. A resident of Garrett County, Md., she is a 40-year volunteer with the USGS Breeding Bird Survey program and completes two breeding bird routes in Garrett County, Md., each June. As a birder turned butterflier, Pope is compiling an updated list of the butterflies of Tucker County. Mike Powell, a resident of Canaan Valley, works for the Nature Conservancy as land steward, where he has management responsibility for all of TNC’s properties in West Virginia. Powell is a WVU graduate with a B.S. in recreation and parks management and holds an M.A. in Forestry and Agriculture. Michael Welch holds an M.S. from East Tennessee State University, where his thesis work revolved around forest-dependent breeding bird species. He has worked and birded from the mid-Atlantic to Colorado, Texas, and Florida, including monitoring peregrine falcons in the high desert of the Colorado Plateau, performing breeding bird censuses in Great Smoky Mountains National Park, and serving as coordinator of the Great Florida Birding Trail. He is currently the Natural Heritage program zoologist with West Virginia Division of Natural Resources. Michael Williams is a native of Marietta, Ohio and attended Marietta College and Ohio State University. He worked for the Ohio Department of Natural Resources for 28 years as the departmental photojournalist and as a geologist and started birding in 1995. He has birded from both coasts to Texas and western Canada. The rooster crows at 4:35; I get up and step outside. The wind is blowing and the clouds are rolling in. It would probably be a good idea to go back to bed. But, I'm already awake and it is supposed to rain over the next few days. I don't hunt in the rain anymore. I head out in the darkness, still not real enthused. I park in a favorite spot and listen for a little while. The Whip-poor-wills are not enthused on this morning, either. They sound a little slow. I head up the hill and down a logging road. I find a tree big enough to sit against and clear out a few limbs and briers. Wood Thrushes, Hooded Warblers and towhees dominate the early morning chorus. The turkeys are silent and so am I. I sit; not making a sound for over an hour. At 6:55, I yelped twice on the slate call. Silence; except for the songbirds. I sit for another fifteen minutes. My left leg is asleep, it is getting windier and I'm ready to go. I stand up and try to get the feeling back in my leg. One gobbles about 70 yards away. I sit back down, dig out my head-net and gloves. Silence. I yelp once more and he gobbles again. He is closer than before. I put a mouth call in my jaw and wait. Nothing; I call once more, he gobbles and is coming down the road from the same direction that I walked in. Another gobbler is coming behind him. I get shifted around in the direction, punch off the safety and wait. I see movement to my right, in the direction I was originally facing. One head, then two and now five adult gobblers in full strut at twenty yards or less. They are staring directly at me. But, I'm still facing up the logging road where the other two are coming. I know I can't move. I'm stuck. 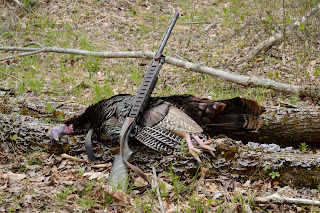 The lead gobbler on the road stops behind a fallen tree top. He is in range, but not in the clear. He is frozen; looking for me. I can still see the other five out of the corner of my eye and they are getting real nervous. A couple are starting to walk in circles, everything is going to be over quickly; if I don't do something. The gobbler in the road begins to turn and walk away; still obscured by the tree-top. I gamble and cutt loudly. He gobbles and steps out from behind the tree. Game over and the sky is full of flying gobblers. It was a pleasant walk back to the truck on this morning 5/6/2013. Just think, I could have went back to bed and not felt a bit guilty about it. PARKERSBURG, W.Va. – Catfish stocking begins in mid-May in West Virginia, and that provides another opportunity to encourage youth and families to get outdoors. Others include Kids to Parks Day on May 18, National Get Outdoors Day on June 8, and National Fishing and Boating week, June 1 -9. The latter includes Free Fishing days on June 8 and June 9 in West Virginia. Fishing is especially attractive to youngsters and is a West Virginia tradition. Catfishing opportunities are available at many lakes in West Virginia’s State Parks in additional to stream and river fishing for other fish species. Anglers who report a tagged fish will receive the “tagged reward,” park information, a certificate and a letter of congratulations via US mail after the information is received and recorded by DNR fisheries biologists. Each certificate has a choice of three prizes: a train ride at Cass Scenic Railroad, a boat ride on the sternwheeler “Island Belle” to Blennerhassett Island or a Recreational Activity Pass at Pipestem resort. Other state park area lakes stocked with catfish but not tagged include: Berwind Lake (McDowell Co.), Laurel Lake (Mingo Co.), Little Beaver State Park Lake (Raleigh Co.), North Bend State Park Pond (Ritchie Co.), and Watoga State Park Lake (Pocahontas Co.). Fishing at state parks and forests requires a West Virginia fishing license for anyone age 15 and older except for the free fishing days scheduled June 8 and 9, 2013. Also, residents who turn age 65 after January 1, 2012, are required to purchase a Senior Lifetime License. There is no admission charge to state-operated parks and forests to go fishing. More than 30 areas in the West Virginia state parks system offer fishing opportunities onsite. Catfish stocking is in addition to spring trout stocking at many state park and forest locations. For a complete list of catfish stockings visit www.wvdnr.gov. For more about West Virginia’s state park system and outdoor activities in May and June, visit www.wvstateparks.com and click Event Calendar. 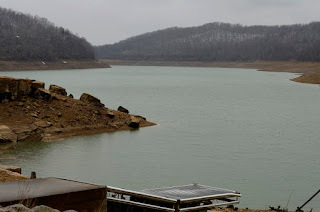 GRAFTON, W.Va. – The West Virginia Division of Natural Resources (DNR) announces that swimming from the shoreline of Tygart Lake on the Pleasant Creek Wildlife Management Area (WMA) is prohibited by regulations governing public use of Wildlife Management Areas (§58-70-2.11). This regulation will be strictly enforced beginning immediately, according to Curtis I. Taylor, Chief of the Wildlife Resources Section and Colonel Dave Murphy, Chief of the Law Enforcement Section. 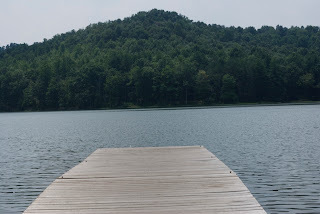 The DNR Parks and Recreation Section plans to reopen the public swimming area at Tygart Lake State Park in 2014. 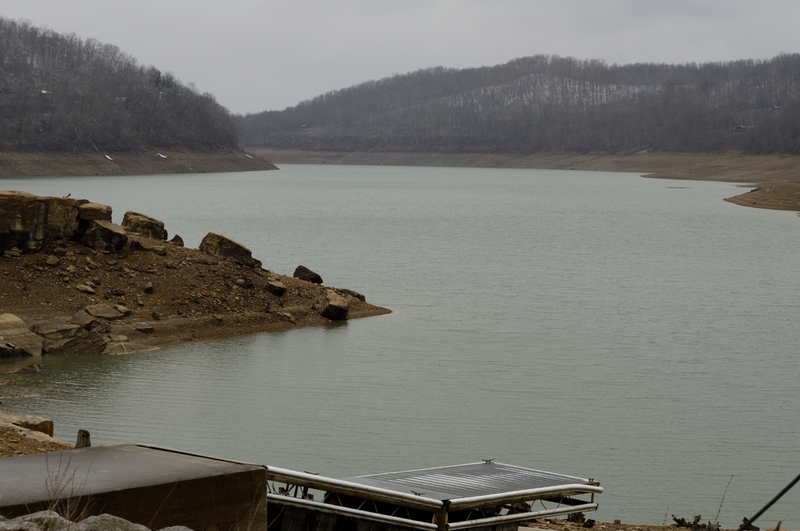 This will provide the public with safe and convenient shoreline swimming opportunities on Tygart Lake. In addition, swimming from boats and other watercraft is permissible now. For additional information, contact the DNR Farmington Office at 304-825-6787. May 3, 2013: A few more Whip-poor-wills have showed up and are signing with more vigor this morning. Still no owls to be heard. 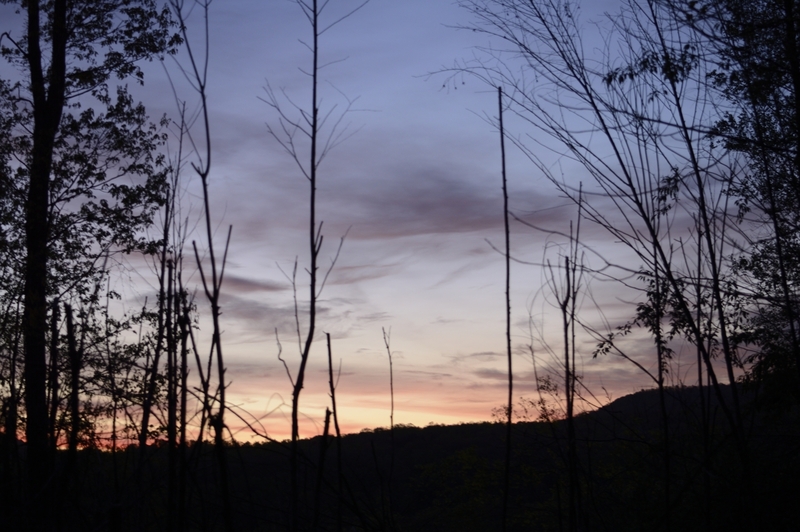 Sunrise nears and two gobblers sound off; one at 10 and one at 2. I've picked the perfect spot in the dark. Both are within 80 yards and 4 roads meet right in front of me. I wait for fly-down time. I hear wing beats from the 10 o'clock gobbler and make a single, short fly-down cackle. I hear the other gobbler pitch down. He double gobbles when he hits the ground. The other answers. Perfect, I make a series of yelps and wait. Another double gobble and the bird is closer. I turn slightly and get the old 870 pointed to the intersection. Both birds are now gobbling and moving closer. I think, as I did on Wednesday that this is going to be quick. Suddenly it is silent. More silence follows, a single gobble from the knob across the hollow. Then another single gobble on the same knob, about 200 yards from the first. Something boogered them up again. Living in coyote city must be hard on everything. I sit for a half hour and hear nothing from the turkeys. Oh well, on the bright side; it sounds as if all of the Hooded Warblers arrived last night. Maybe tomorrow. There is nothing finer than a May morning in the turkey woods (or what is left of the turkey woods). I have evolved over the years enough to be able to skip the first week of spring gobbler season in West Virginia. You could say that I just don't enjoy the company. I pulled into one of my favorite spots near home and listened to a Whip-poor-will as I pulled on my boots. 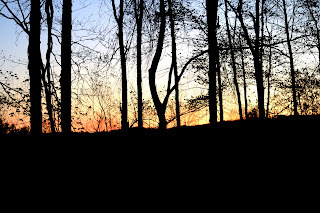 the woods began to awaken as I walked up the hill. Towhees and Wood Thrushes dominated the chorus. One turkey gobbled in the distance; then another, still further in another direction. I stood, enjoying the music and waiting for a nearer gobble. The crows start and there it was, two gobblers about three-hundred yards away. 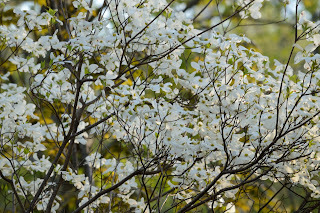 I hurry and settle into a familiar clump of trees. I dig into my turkey vest for the first time this year, head-net, gloves and slate call are actually in the right pockets. 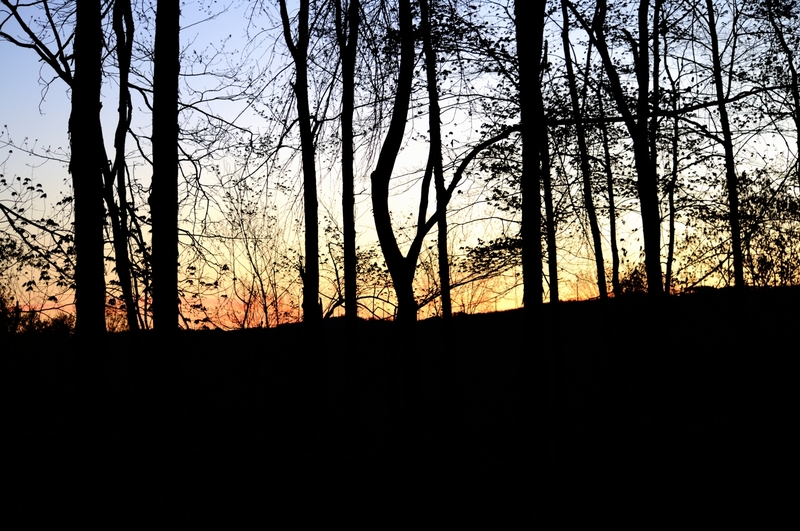 I do a fly-down cackle and the woods erupt with gobbles; all are close. Within 200 yards! They get into a gobbling contest with each other. I stay silent until the first one hits the ground; a few yelps on the slate and he is headed my way; quickly. He double-gobbles at about 80 yards, the others join in. I think; this is going to be quick. I see movement to my right. A coyote head, now a whole blond coyote; headed straight to me. I must have sounded good. He is within thirty yards, I can't turn on him from my location. He gets straight behind me and the wind is in my face. He winds me and heads up the power-line towards the turkeys. All goes silent. Slowly, the songbirds begin sounding off and within fifteen minutes; all was back to normal. Except for the turkeys. They remained silent. I sat there for about an hour. Nothing. I head on a morel stroll back to my truck. Again, nothing. I reach my truck and get ready to leave. I turn the key and once again; nothing. My fuel pump has decided not to work anymore. Oh well, it was a good morning, this day; 5-01-2013.